Fred has a passion for jewellery and his distinctive style is alive and vibrant, with a degree of whimsy that makes it fun to wear, but at the same time being both elegant and contemporary. 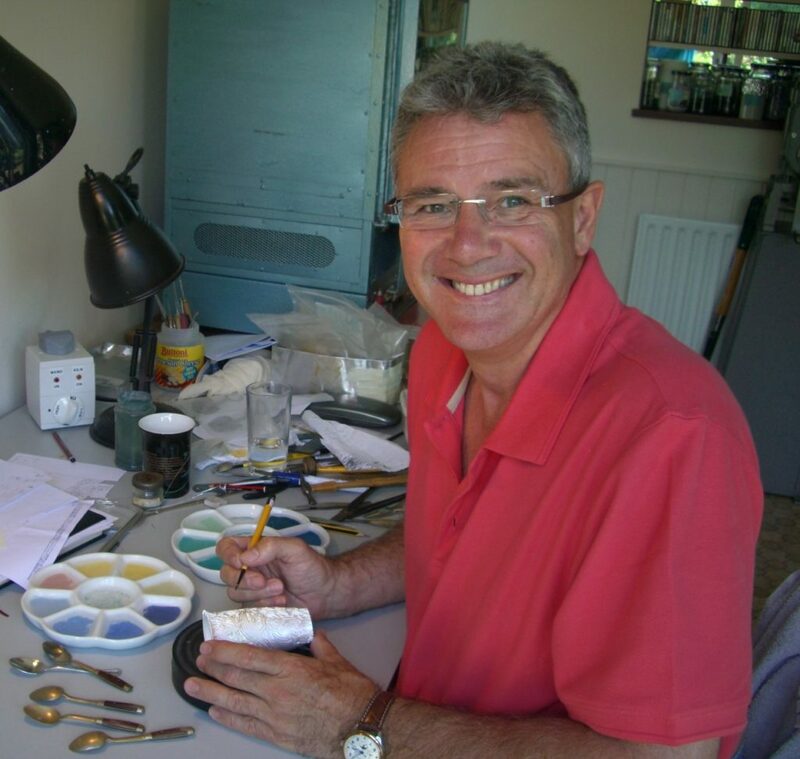 Fred’s enamelled silver pieces are true works of art – an untethered fusion of skills bringing drama to any setting. The personal information you provide will be used by Fred Rich Enamel Design only and not shared with third parties. We will contact you by email or post, depending on the information you provide, to let you know about exhibitions, fairs, or news about our work only. You can contact us at any time by email, telephone, or website message to change your contact preferences, or to request the removal of your data from our mailing list. All data is held electronically which is password protected.